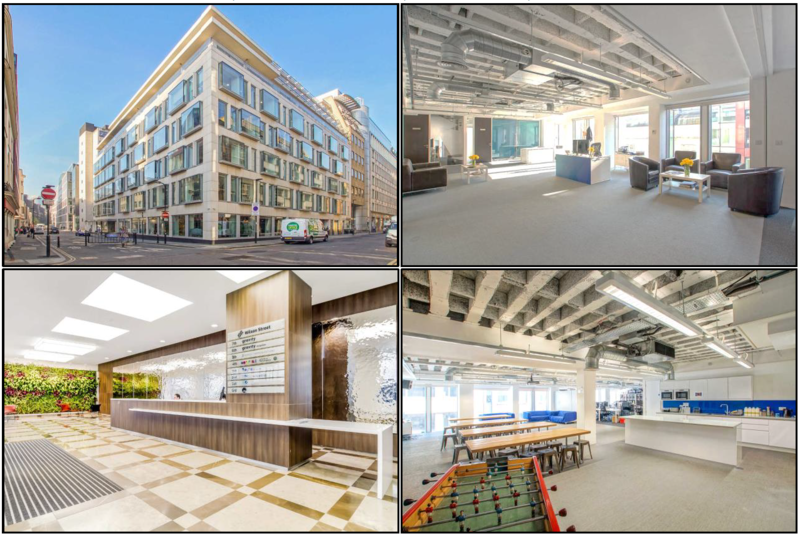 The predominately open plan office is located on the third floor of this modern multi-let building on Wilson Street, moments from Finsbury Square and just south of vibrant Shoreditch. The office benefits from floor to ceiling windows on all elevations, exposed services and demised W/C’s and is currently fitted out with a board room, meeting rooms, stylish reception area and a large kitchen and break out area. The building is close to the new Amazon UK Headquarters and the new Stage Shoreditch development, home to Shakespeare’s Curtain Theatre, as well as the area benefitting from a number of bars and restaurants such as The Modern Pantry, Aviary, Flight Club and Barry’s Bootcamp. The building benefits from a manned reception, secure bicycle storage & showers. Car parking is also available by separate arrangement. For further information or to arrange a viewing, please call 020 7336 1313.